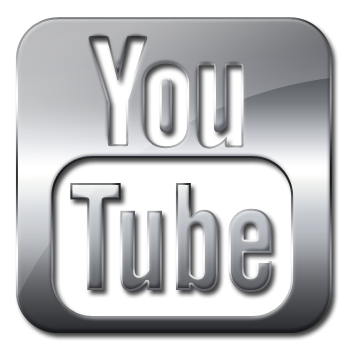 I have an exciting project to share with you today. 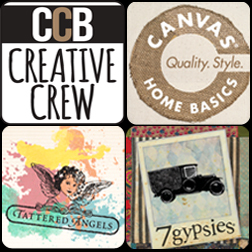 As a new member of the Canvas Corp Brands design team, they have asked us to decorate a 4" canvas in a manner that reflects our own style and personality that they can use it in the article for our introductions. That seemed fairly easy to me...lots of pink, lots of flowers and lots of dimension!! 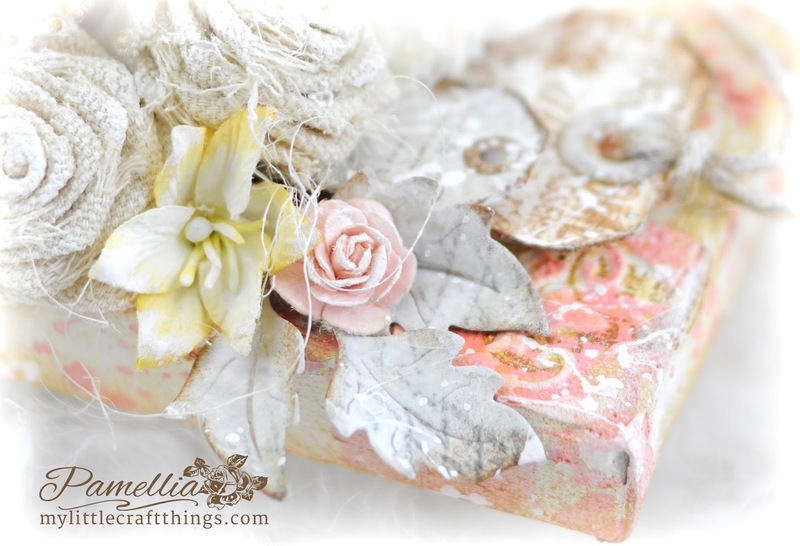 So here is my final result, a Valentine's mixed media, shabby chic canvas made with some of my new goodies from Canvas Home Basics, Tattered Angels and 7Gypsies. The canvas is a Canvas Corp 4 x 4 Chunky Stretched Natural Canvas. I started with a layer of Gesso, then a layer of Tattered Angels High Impact Paint White. I did some stamping and then added a design with a Prima stencil. Thought I would try a new technique as well, so I used some embossing gel and splattered it on some of the areas before I spritzed on some Tattered Angels Glimmer Mists in Tropical Pink, Dijon and Gold. I love the results, there's all these bright white areas where the mists didn't stick!! The big white flower was handmade using some Canvas Corp 12 x 12 Canvas Sheet White. I antiqued it with a bit of distress ink and added a pearl to the center. The roses are handmade using Canvas Corp Canvas Fringe. The large tag is a Canvas Corp Tags & Ties Skinny - Ivory. The leaves were cut out of 7Gypsies Harmony Collection paper using a Cheery Lynn Flourish die. The small tag is also cut from the Harmony Collection paper pad. I added a Canvas Corp Jute Cord Natural tie to the larger tag. 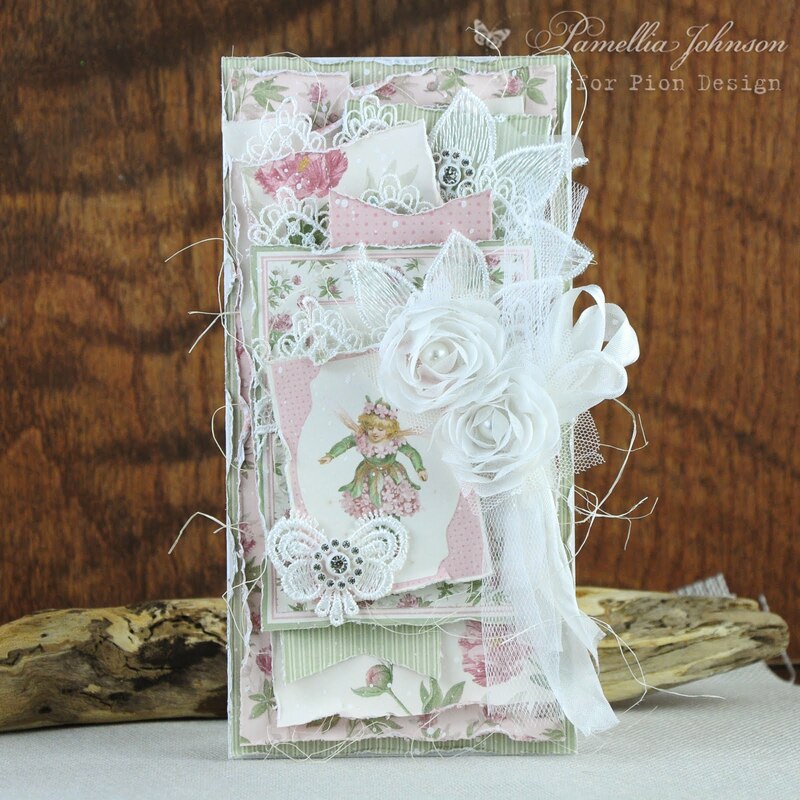 Stamps used were Stampendous Charm Collection & Small Tag, Tanda Travel Set and BoBunny Prairie Chic. I also used a Cartography Prima stamp sent to me by my lovely and talented friend Loll of "Stamping with Loll". If you have a minute, you should drop in on Loll. 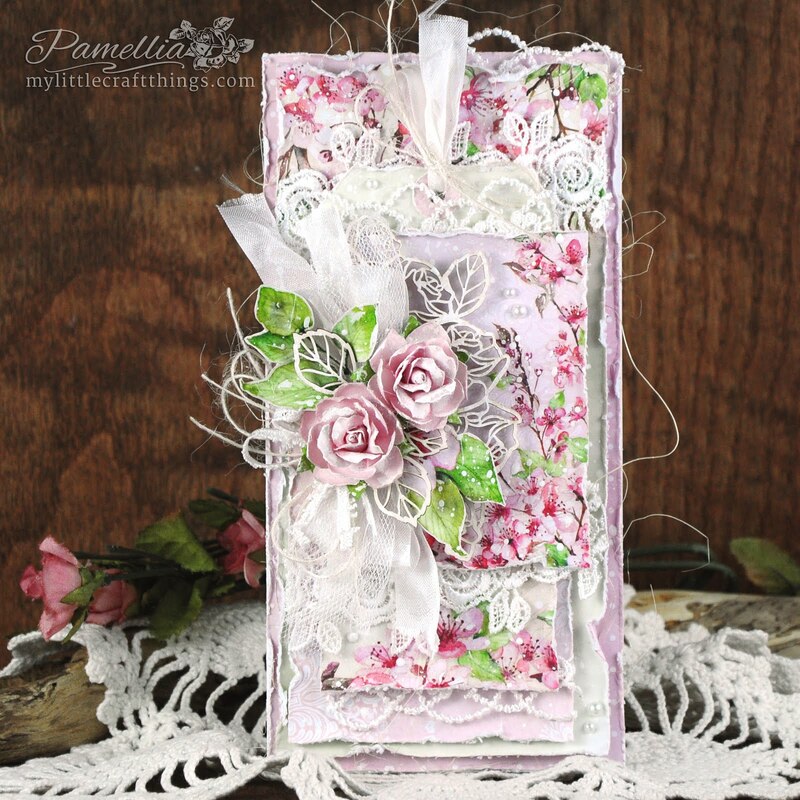 She designs some of the most gorgeous CAS cards around!! Thanks Loll, I love my stamp! Thought I would share a few shots of the lake at night. I usually don't aim my camera in this direction because of the big apartment building, but the lights reflecting off of the thin layer of ice was just too beautiful to resist! 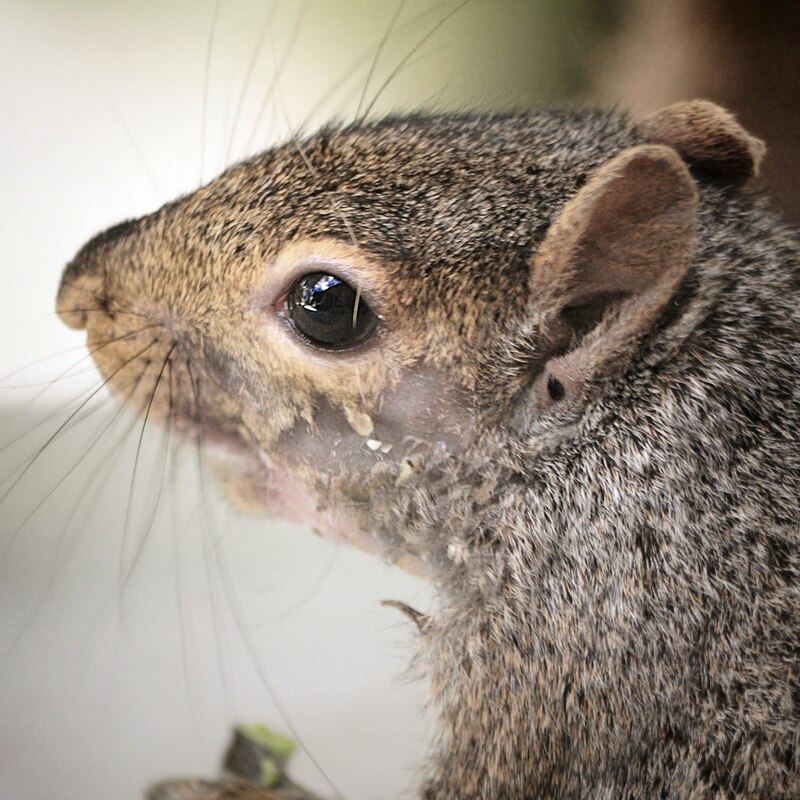 So what are my fur-babies doing while I'm off feeding the squirrels? Well the answer is that they are both intrigued and concerned at the same time. They watch my every move very closely. Their heads move in tandem as I move around handing out peanuts. Hubby snapped this shot a while back. OK, you can stop laughing and pointing your fingers now, YES THOSE ARE CHRISTMAS PAJAMAS, and NO, I'm not 12 years old! Comfort first I say and these flannel PJ's are so cozy and gushy, I just can't help but wear them!! The pictures from the lake are very nice. The apartment building is not in the way at all. I like the reflections of the lights in the lake. And look and those adorable fur babies of yours. How cute are they, watching your every move?! Awesome shot!!! Oh, and I agree with you on PJs - definitely comfort first. I actually really like your Christmas PJs. He he. Stunning creation, so many layers,amazing work. Love your images, your little doggies are so cute! Nothing wrong with your pj's, they are comfortable. I hope you are keeping well and congratulations on being welcomed into another design team. Just GORGEOUS, Pmellia. Thanks for beautiful photos. Love your most cute twin-babies. Wow...Congrats on new DT spot!!! As always love this fabulous colors, layering...mixed media awesomeness a lot!!! <3 ..
Gorgeous gorgeous canvas ,full of layers and texture, i love it. Lovely pics , the last one is a hoot !. Wow, wow, wooooooow, Pamellia, I am in heaven! I couldn't imagine a better use of all those wonderful products! It's absolutely breathtakingly stunning canvas! I am totally blown away again! Spectacular work of art! Congrats on your new DT spot, my friend! 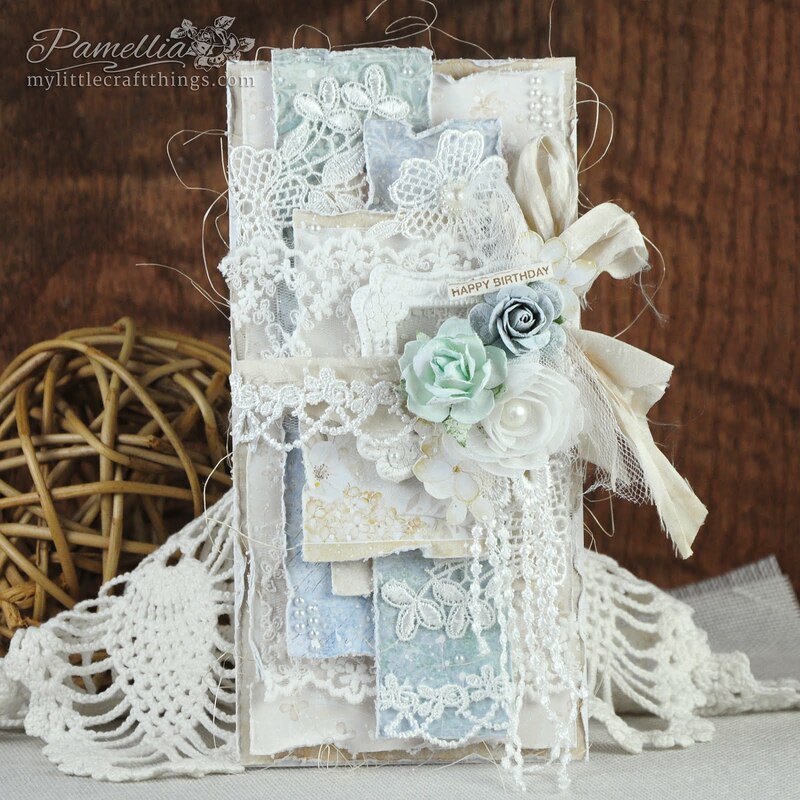 Wow Pamellia another stunning creation, gorgeous textures and elements amazing. 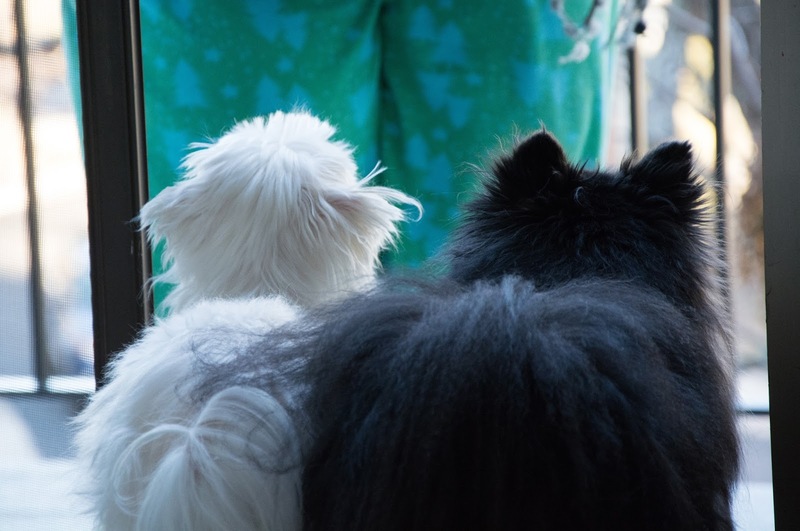 Love your PJs and your little fur babies are adorable. Just stunning as always Pamellia and more great photos, I can tell you are loving your new location. This is just so so YOU, Pamellia. 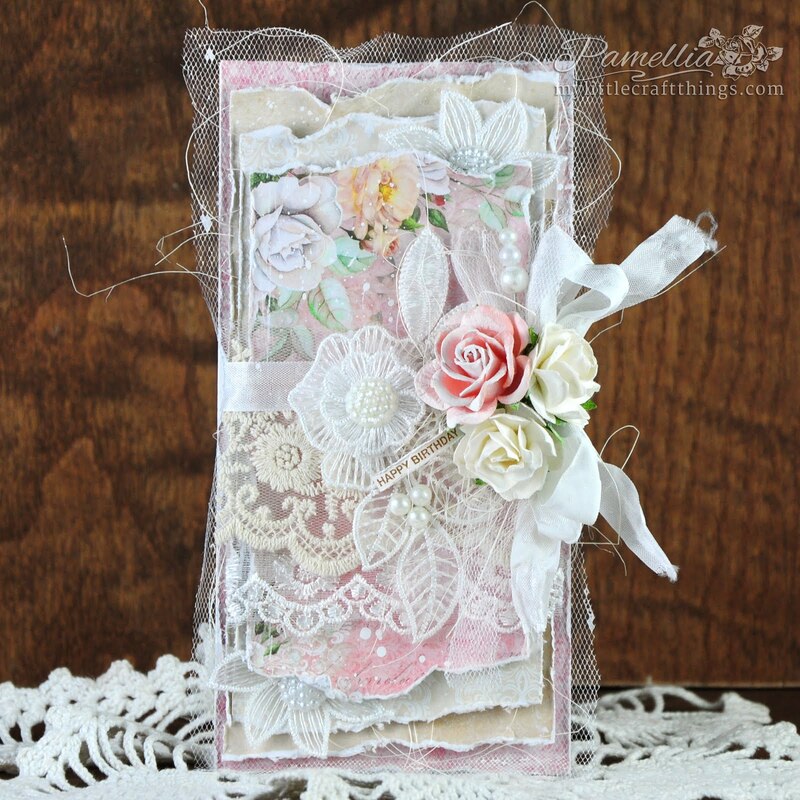 Pink and loaded with texture and embellies and of course shabby chic! No one can beat you on this. Love all the elements here...the grey tones are so complimentary to the pink and its just oozing love! The project is very 'you' and so beautiful. Love the photographs with the amazing colours and images. Hi Pamellia. Just having my breakfast thought I would pop over and see what exciting work you were doing. 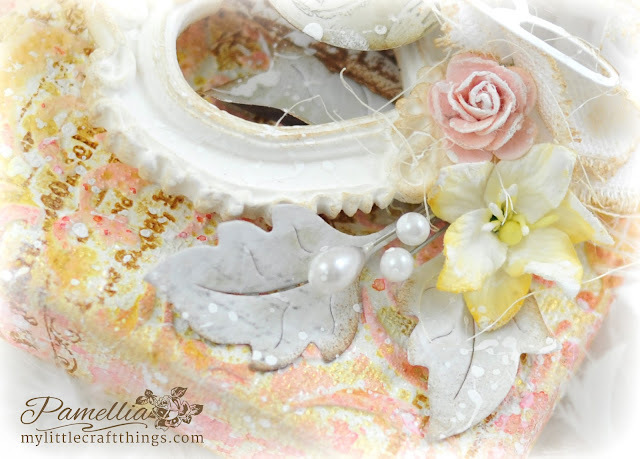 This is Faboulas, Faboulas colours and all your embellishments WOW what a treat we are all having from you today. Now I know what to do with the canvases I have had stores in the wardrobe for about 10 years. Good pictures your really loving your new home. 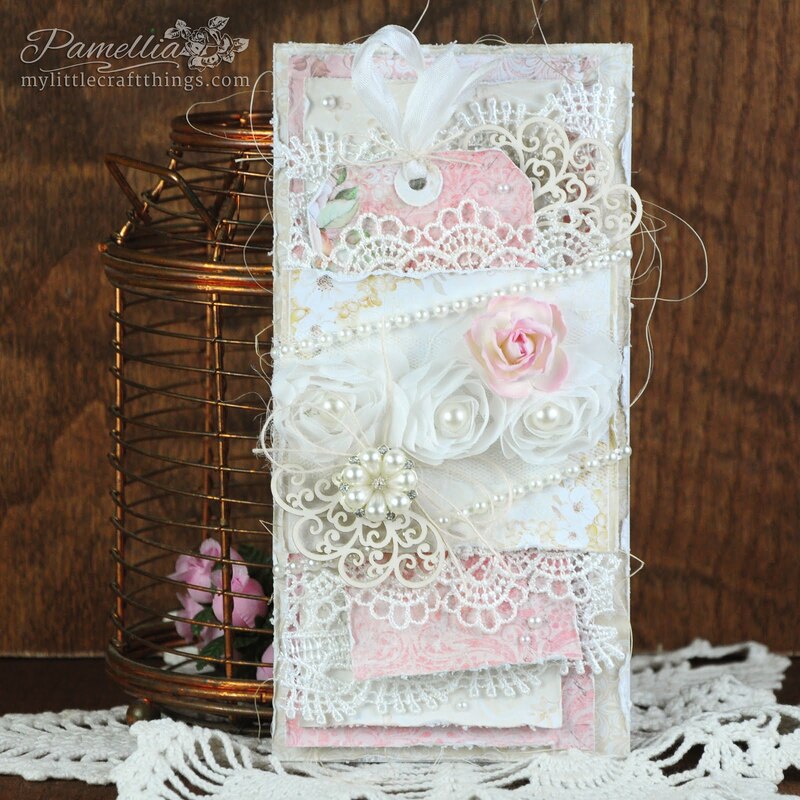 Congrats Pamellia your creations are always so stunning and this one is no exception. Delightful. Wow! This canvas looks amazing! I love all the details you put into this project! Congratulations on becoming a DT member! Thanks for playing along with us at Scrapy Land Challenges! First let me say I'm extremely envious of your Christmas PJ's; they are high fashion from my point of view! 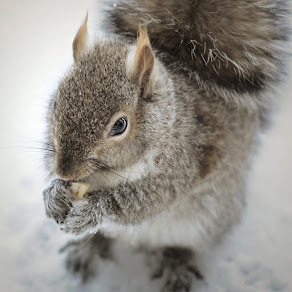 Secondly, I love the cold blue of your photos; you have captured the frigid-ness of the night. Lastly, your canvas is STUNNNING! Canvas Corp. has truly found a gem in you! You have used their products beautifully! Your new technique using embossing gel is such a fabulous discovery--who makes embossing gel; afraid I've not heard of that yet! The results really add so much texture (yum!) to the background. Most people would stop at just that lovely background, but not Pamellia! there a loads of gorgeous treats for us piled high on this shabby canvas! Love the tags, the almost edible heart (oh, that melts my heart! )and your flowers are OH, MY GOODNESS! show stoppers (and heart stoppers!)!!! I can't believe you made those tiny roses from the Canvas Fringe! I hope there will be a tutorial in our future! You have done wonderful things to showcase these products in just this one amazing piece of art...I am so looking forward to seeing all you will create, and I'm willing to bet Canvas Corp. is going to see a huge increase in their sales! Big Hugs!!!! Thanks Sara!! Actually the label says Embossing Ink, but it's a blue gel, looks like hair gel! Here is the link of the product, although I'm not sure you can buy it anymore. Congrats on your another milestone! You are a fabulous artist! & WOW!! Your canvas is gorgeous! 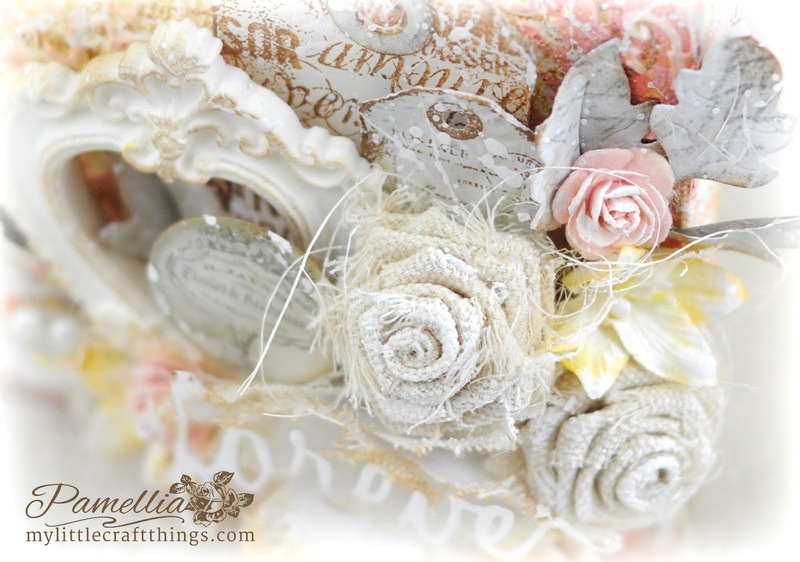 Love the textures & soft sweet colours, just stunning! 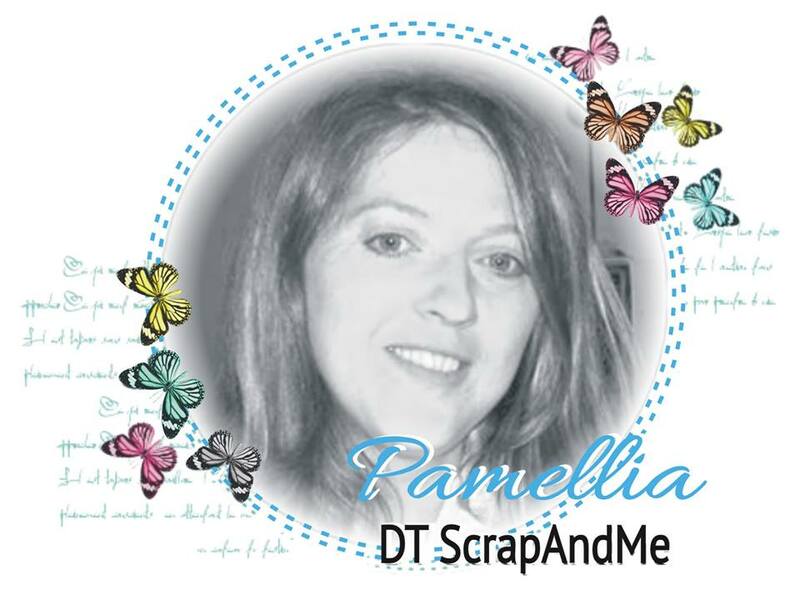 Hi Pamellia, congratulations on you new DT post. A stunning piece of art that anyone would love to have in their home. Stunning colour combinations and those canvas roses are gorgeous. Sally.x. What a wonderful canvas this is! Gorgeous Pamellia! Wonderful reflection photos! And I love your little cuties watching you ! They are so sweet! oh my word the amount of superb work involved in this superb creation. It must take you ages. 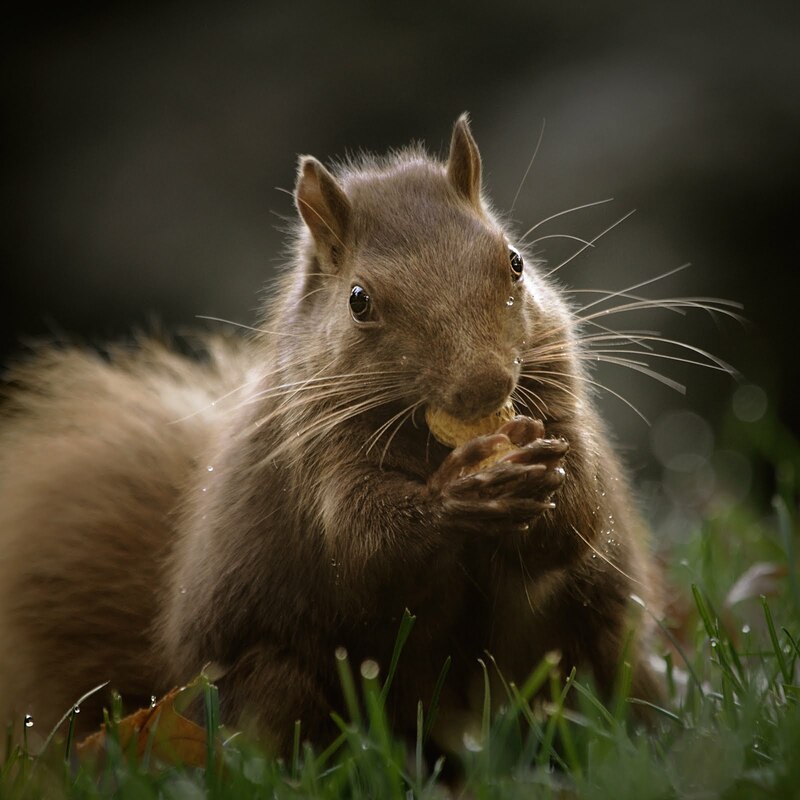 Wonder you have time for that lovely photography, and feeding the squirrels. Your dogs look so darn cute watching your every move. Nope can't see your PJs. LOL. My goodness, what a beautiful canvas! A very pretty combination of colour, texture, handmade flowers and embellishments - just beautiful. Thanks for sharing your lovely photos of lake at night, so enchanting with the reflections. As for your PJ's, well it's comfort every time for me too. Congratulation on your new team position Pamellia...SO VERY WELL DESERVED!!! Your canvas is GORGEOUS...in true Pamellia fashion!!!!! So many layers of fabbi-ness...YES...I'm creating new words when I come to visit you...cause normal ones just don't describe just how creative you are my friend!! AND as for the PJS...her I wear mine as much as I can too...I just say I'm doing housework and don't want to get my clothes dirty...lol! Have a wonderful day! P.S. Your pics are fabulous! Totally GORGEOUS...Full of pretty colors n blooms ! The background work is simply superb ! 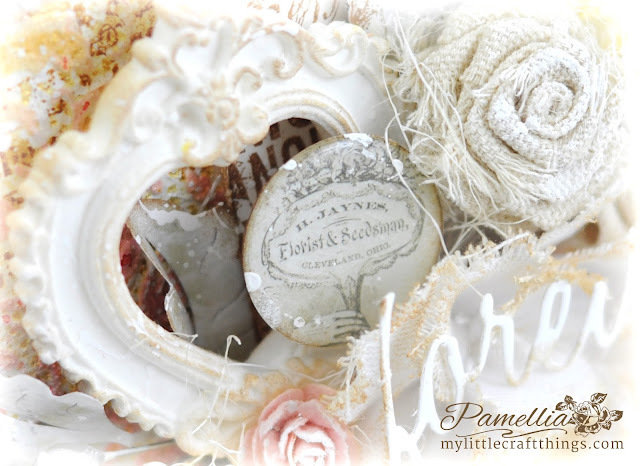 Really lovely design, Pamellia! Congrats again on this great design opportunity with Canvas Corps! They are so lucky to have you. The canvas perfectly sums up your gorgeous style. 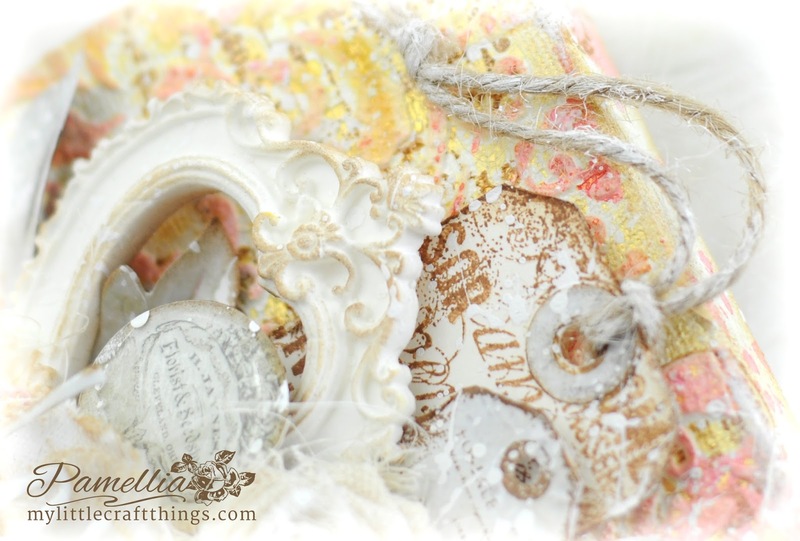 Love the stamping in the background - so pretty!!! Ahhhhhhhhhhhhhh a canvas.... you must know how excited I am to see this FABULOUSLY STUNNING canvas creation Pamellia. Wow. And the yellow (dijon and gold) with the pink.... truly thrills me. Why - because it's in the orange family - eheheheh!!! No - well yes - but it thrills me because it is just GORGEOUS together on this project - love the colors - all of them. And the canvas flower - WOW. The layers, the texture - it's all just BEAUTIFULLY done. And yes - congrats on Canvas Core - big HIGH FIVE on a INCREDIBLY WONDERFUL first project for them. YEAH!!!! Love the picture of Scully and Pebbles - soooo precious. Smiling! Xj. Congrats on your DT spot! Well deserved~I love your beautiful canvas. 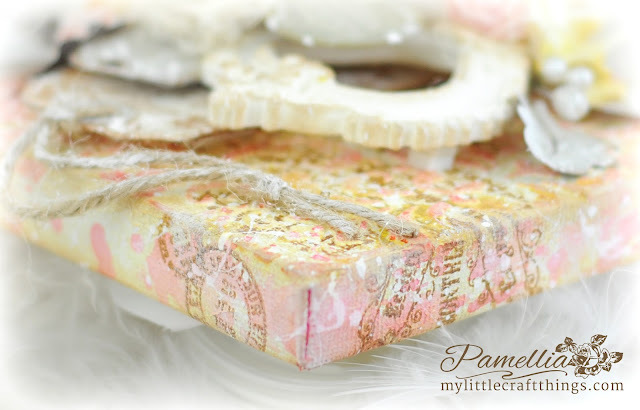 The colors are such a pretty mix and love all the fun embellishments. 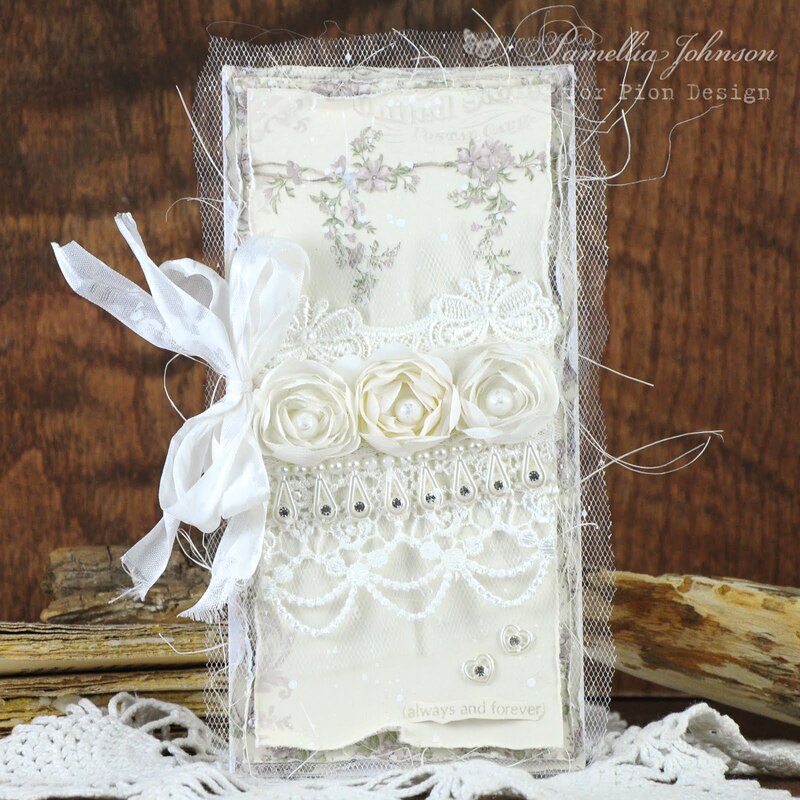 The tags are lovely and love the hand made roses are simply breathtaking! I LOVE everything about this beautiful masterpiece! As always, so inspiring! Your fur babies are the cutest! 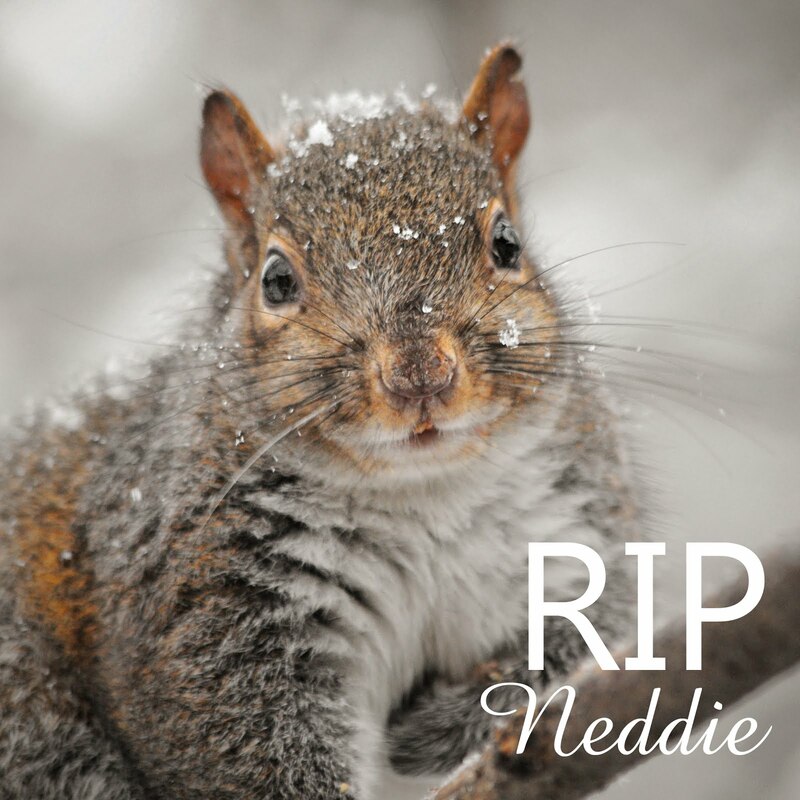 That picture is so sweet...makes me miss my Gizzy who has been gone for 4 yrs now:( I love all the pics you share~so fun to follow! Love the pj's~any chance I get, I'm in mine....love to be comfy! Stunning canvas Pamellia, wonderful dimension and colours, beautiful flowers and frame! Your little dogs are the cutest and why would anyone laugh at the pj's!!! Comfy is good!!! Well, Pamellia, I have to run to the fridge to get some ice for my jaw from where it hit the floor when I saw this!! Oh my wow, this is beyond spectacular!! The texture, the colors, the dimension - amazing!! You always layer perfectly!! What a stunning representation of your style!! Gorgeous, elegant, shabby chic perfection!! Love, love this my friend!! Thank you so much for playing along at Scrapy Land!! A gorgeous canvas, that reflects beautifully your style. Loved the photos andIi am with you on the comfort of pj's. OMW his is a stunning canvas Pamellia, gorgeous texture and layers, with beautiful colours. Fabulous photos again, love your cute doggies. Congrats on your new DT spot. 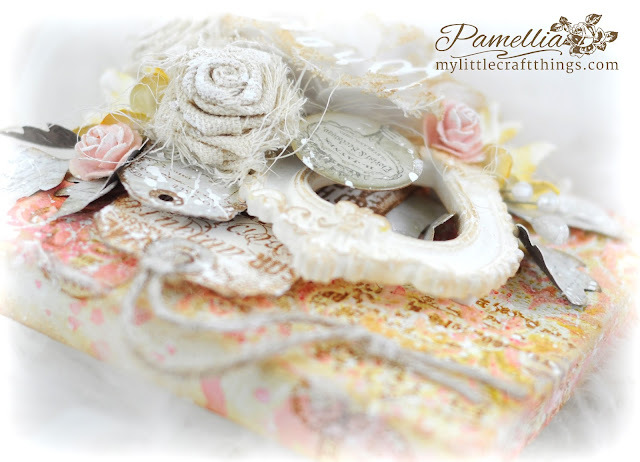 Gorgeous as always Pamellia, I always love the dimension and texture you create - something I rarely do! 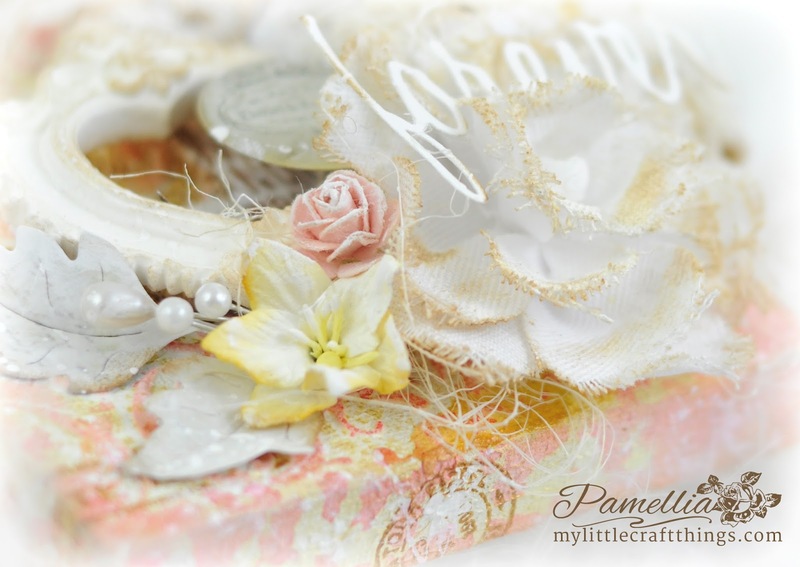 Oh yes this is so perfectly your style Pamellia, ultra feminine and dreamy,love it. Love the fur babies too, nosiness always gets the better of animals doesn't it! Congratulations on your new design spot. This project is just stunning! I love the way you created the background and all those delicious elements. It really is a work of art. Good to have you join us at Creative Artistes mixed media challenge this month. 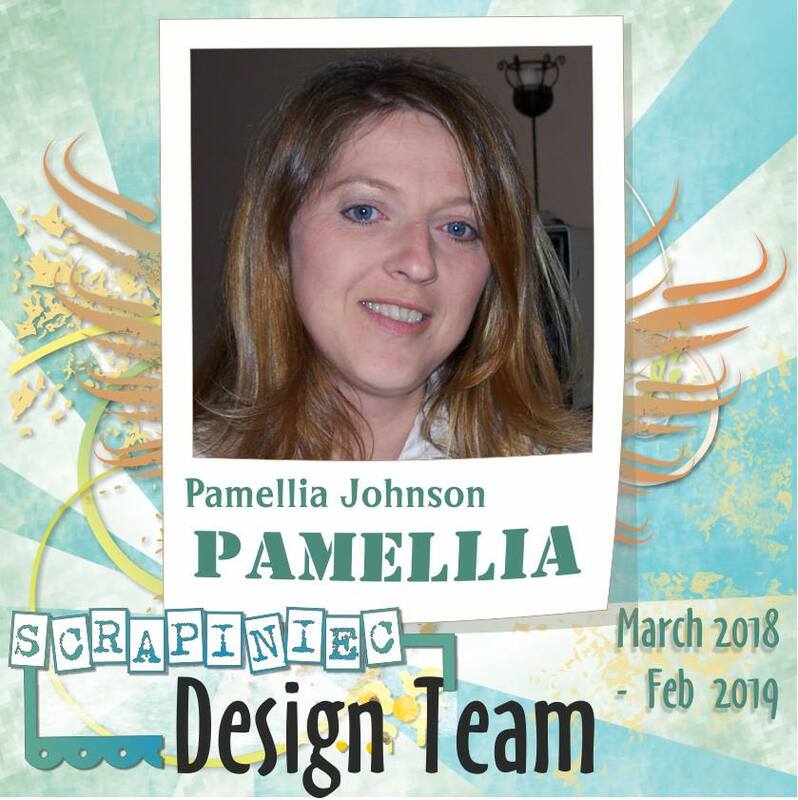 Congratulations on your new team, Pamellia - I bet you'll have loads of fun with Canvas Corp, and they're certainly lucky to have you. 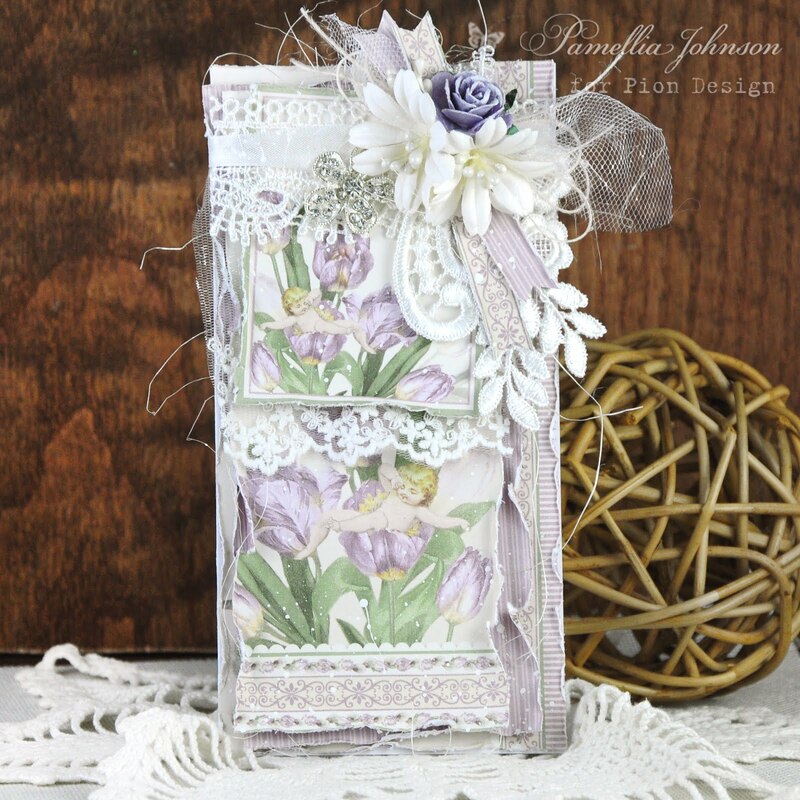 What a fabulous introduction to your signature style, with all that wonderful dimension and beautiful vintage shabby chic detailing. Oh, and there's nothing wrong with a comfy pair of pyjamas! Fabulous canvas Pamellia, it looks fantastic with all those numerous layers and elements. CC are lucky to have you! The shabby feel of it all is so beautiful. Pebbles and Scully look like something from a picture book, such a clever photo, - as are all the others. As to the PJs, - nothing like being cosy!! Oh my goodness, Pamellia, I love this canvas. Absolutely beautiful! Awesome nighttime photos. And the photo of your fur babies is so precious! Congrats on your new DT gig Pamellia! Your project looks fabulous! Love all the layers of beautiful things! Beautiful canvass and it is so you, it will make a great introduction to your and your style. 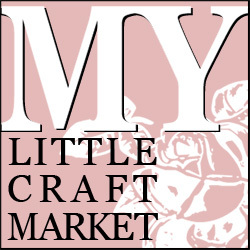 Although I cannot imagine there are many crafters who do not already know who you are and admire your work. Many, many congratulations on becoming part of this new Design Team. My dear Pamellia, I have just sat here for some time taking in every exquisite detail of your newest masterpiece. Your gift of creativity lightens my heart on even the hardest of days! I love what Canvas Corp. asked the new DT to do.. what a fabulous idea and so brilliantly executed by your amazing self! (Also, I must get one of those canvases!) The colors exude sunshiny love, while your cluster of fabulousness is designed to perfection. I just want to explore every gorgeous layer, where treasures are tucked within every millimeter. Stunning as always, Pamellia. I hope your days are filled with as much beauty as you share here. :o) And I love your pictures and your cozy PJs! What a glorious make! It is so shabbylicious and feminine and soft...like a dreamy cloud in a pink and gold sunset! I can't believe how much you packed into this little 4x4 canvas! CCB is so lucky to have you on the crew!!!! Oh! sigh, another stupendous all details all girly all so beautiful YOU. Yep this is so you and all I have come to know of you. I LOVE this. 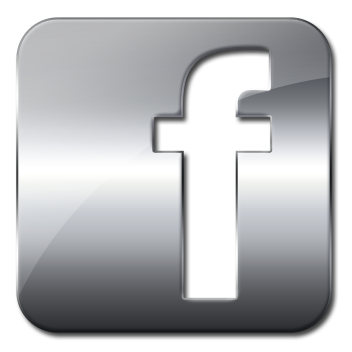 I have to add here that I appreciate all your comments on my meagre makes (compared to yours) Thank you. I just love this card, the colors are fabulous. I love heart and the burlap flowers. Great pictures, too. Wow this is one gorgeous Canvas sure shows your style perfectly . Love all the layers and textures . A tutorial on the canvas roses would be appreciated LOL just saying ! Congrats on your new post!! This canvas could not be more beautiful! So pretty and full of Pamellia touches ... Love your photos ... what a fun photo of your babies! 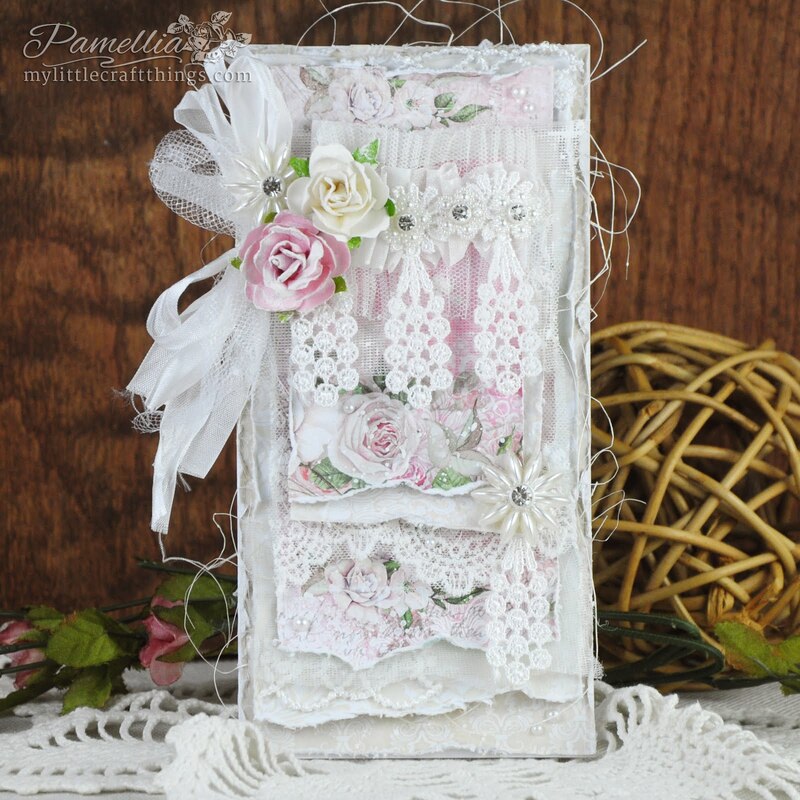 OMG Pamellia I am just blown away (again) by this stunning creation, I am just in total awe at your attention to detail, the beautiful embellishments especially the flowers, it is out of this world spectacular, I love it so much. Great pictures I love the one of your fur babies, lol. Amazing canavas! Thanks so much for playing at The Crazy Challenge! 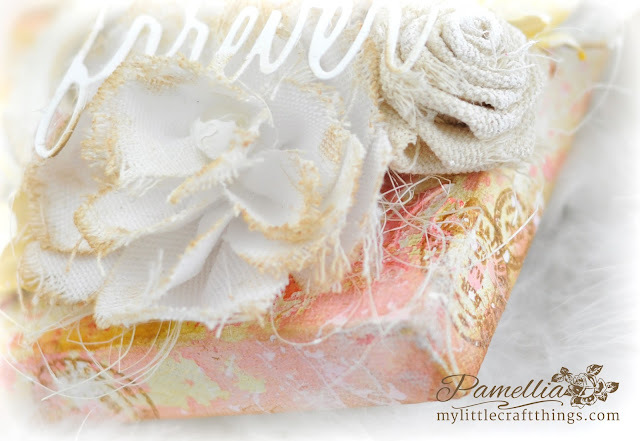 WOW stunning canvas creation Pamellia! 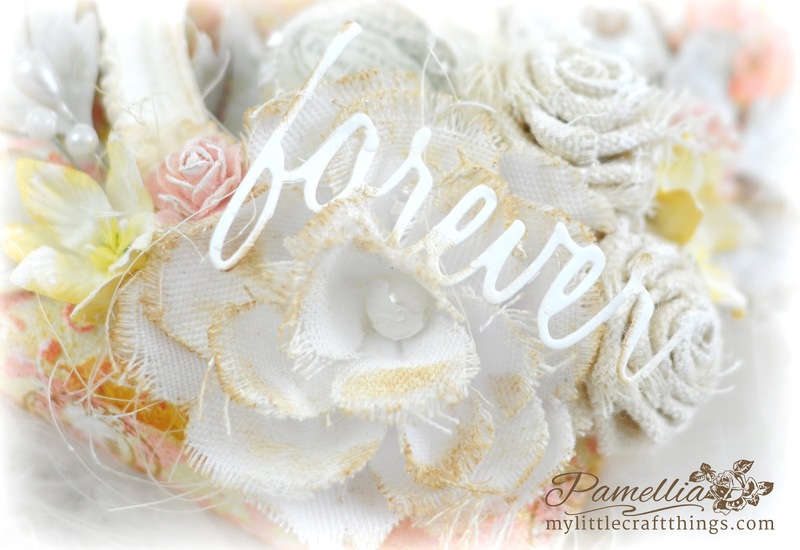 I love the shabby details and your gorgeous canvas flowers! Congrats on your new DT spot and fabulous pictures also! I'm always in awe of your creations! 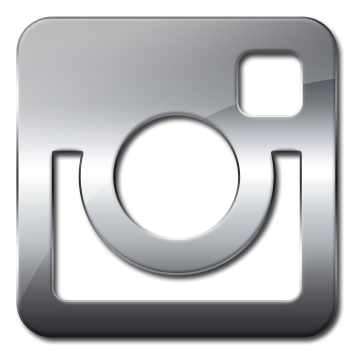 Enjoy the great pictures, too! GORGEOUS!!!! EVERY LAYER!!! Fabulous all around, and so eye catching!!! Oh my goodness, Pamellia, I am drooling over these lovely photos. This is such a perfect representation of your feminine, shabby style. I adore it! And I'm so glad you tried something new in there too. 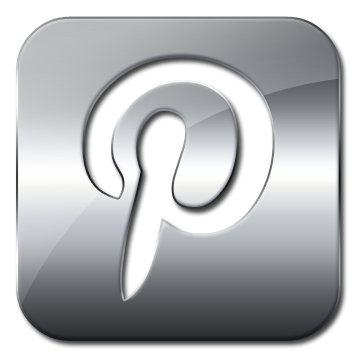 Thanks for participating with us over on the Creative Carte Blanche blog. Fabulous!! Absolutely fabulous! I am in awe!!! :) Such great work. Gorgeous piece, Pamellia, definitely your signature style! Night photos are beautiful too. 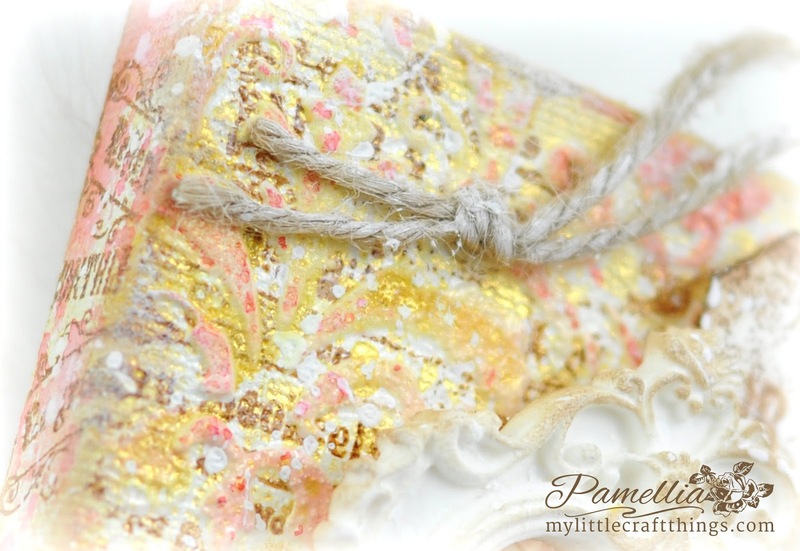 What a beautiful piece of art, Pamellia - thanx for playing along at Fantasy Stampers. Hello Pamellia!! What a treat to see your art again! I am such a fan! This little 4x4 canvas is so beautiful! I totally love your detail work and the flowers. Your embossing gel technique with the mists looks amazing! Thanks for sharing that! Congrats on being named to Canvas Corps DT. They are lucky to have such a talented artist! Such a lovely, shabby chic/vintage piece! Thanks so much for sharing with all of us at Creative Carte Blanche! Ummm...WOW...HI Pamellia...first I have to say I love your name! It is beautiful! This little canvas BLEW me away! It is so feminine, shabby chic and romantic! The colors are amazing and all those layers, well...they just made me want to reach out and touch it! Congrats on your DT venture with Canvas Corps...they are lucky to have you! Thank you for sharing your creative spirit with us at Creative Carte Blanche! Definitely a work of art on canvas. Congratulations in your new DT appointment. They're smart cookies signing you up. Lovely shots of the reflections in the lake. It looks very tranquil. I think you're right that the girls were concerned......concerned that someone may see you outside wearing flannelette lol! Stunning canvas my dear!!! What a great job you did with all the layering!!! I am blown away!!! 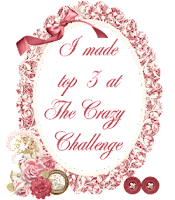 Thank you for joining us at the Crazychallenge. Wow, Pamellia, this canvas is absolutely stunning! Your attention to detail is amazing, and you built so much texture and depth into this piece. Beautiful work, and we're just delighted that you shared it with us at Creative Carte Blanche! What a lovely canvas! I love the combination of all your collage elements and the contrast in texture. So beautiful!! An absolutely gorgeous canvas Pamellia. The background looks amazing with all the pretty colours. I love your fabric flowers and the frame.